I've added a simple effect to my simple reshade effect 'lib' (at github.com/FransBouma/OtisFX), called GoldenRatio. 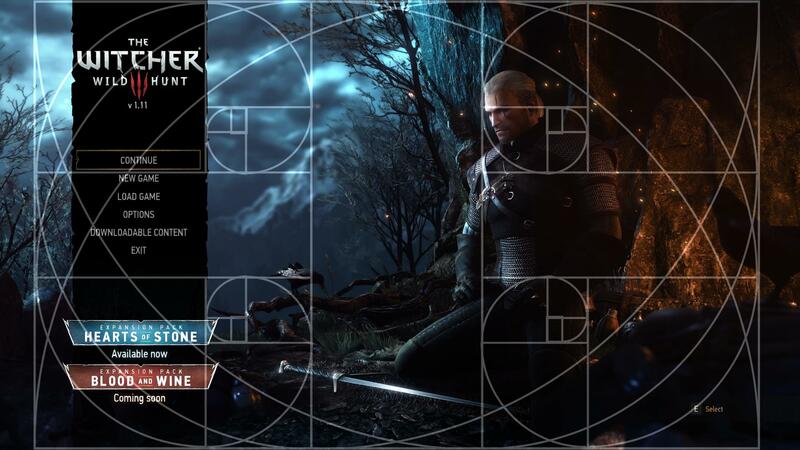 It displays 4 golden ratio fibonacci spirals as an overlay over the screen, properly resized (so a screenbuffer that doesn't have an aspect ratio that matches the golden ratio will not have the overlay skewed as that would ... mitigate the whole purpose of it! ) By default bound to F6.